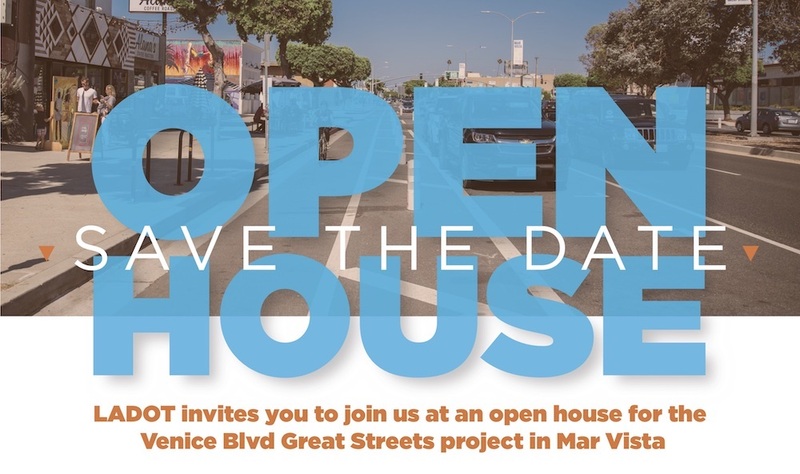 The Los Angeles Department of Transportation is hosting an Open House on March 14 at the Mar Vista Recreation Center (11430 Woodbine Ave. Mar Vista, CA 90066) from 6pm – 8pm to provide information on and gather ongoing input about the Venice Boulevard Great Streets program — the City’s effort to improve safety and create a “small town downtown” in the heart of Mar Vista. 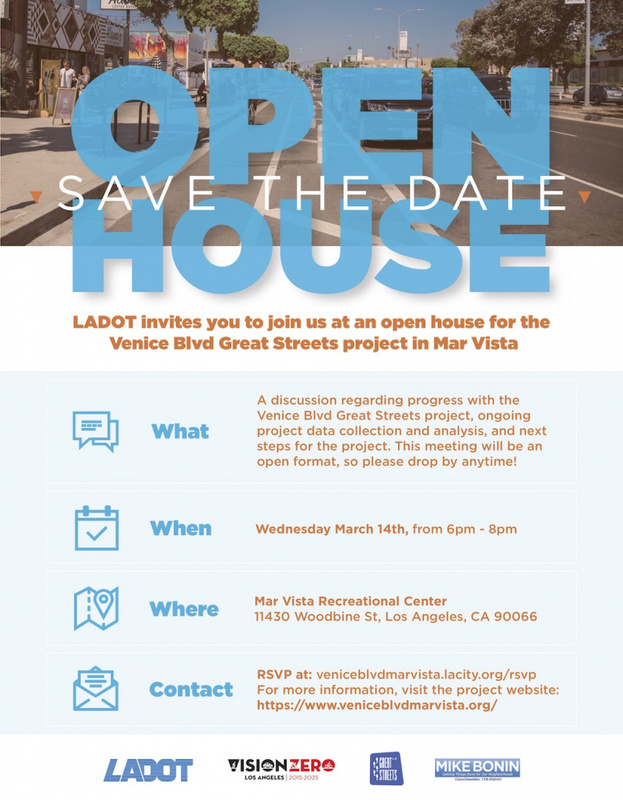 At the Open House, LADOT will share data on the project’s benefits and impacts. LADOT will also provide updates on work being done to address concerns or suggestions to improve the pilot program. You can RSVP for the open house here. Please RSVP today and remember to share this message with your friends and neighbors!